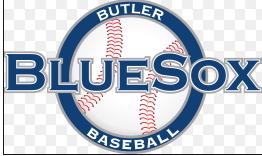 The Butler BlueSox earned a two-game series split with Kokomo following a come-from-behind 6-4 victory last night. The Sox comeback was helped by Knoch grad Dominick Bucko’s game-tying double in the fourth inning. All nine BlueSox batters had a hit in the game. The Sox meet Champion City for a doubleheader today, before returning home to host Chillicothe Thursday. The post Butler BlueSox comeback aided by Knoch grad Bucko appeared first on ButlerRadio.com – Butler, PA .